Food processing is a demanding industry. The sourcing of sealing solutions which satisfy the internal needs of a successful business – namely efficiency, productivity and profitability – while keeping consumers safe, is critically important. It is vital that all food manufacturers foresee the potential risks of shortcomings in their process on the consumer, and take precautionary measures to prevent or minimise the likelihood of a hazard. If you need a component that delivers on performance, you need a manufacturer that can demonstrate a wide range of capabilities and offer a comprehensive sealing service. For assured performance, look for manufacturers and suppliers that provide a range of premium design, moulding and testing services and can be held responsible for demonstrating material sources through to ensuring sterile environments, and assessing how your component will perform in real-world applications. Ensure that your food O-ring supplier can guarantee nothing less than the highest possible standards across their operations. International Organisation for Standardisation ​(ISO) certification can often be indicative of quality, but it may be more indicative to assess the supplier’s specific certification in relation to standards in your industry, such as FDA, 3-A, WRAS and EC compliance. Novotema certifications for food applications are available to view on their website. No industry is the same, and no application is straightforward. Sealing engineers are often challenged with finding solutions to complex problems that lie in highly critical applications. Should you need a sealing solution for your application, be assured that your O-ring supplier have the experience necessary to find one. Food applications often have custom requirements, and custom requirements require custom solutions. So when faced with choosing an O-ring supplier, enquire about their abilities to design custom components for your food application. Novotema has a strong heritage in delivering elastomeric sealing solutions, helping find the answers to countless food processing issues over the last 40 years. Ensure that your component manufacturer and supplier has safety guidelines and codes of conduct which are aligned to your own. There are a plethora of regulatory standards, policies and guidelines for the food industry to follow and maintain in order to safeguard consumers and reduce the risk of product contamination. Don’t be let down by your O-ring supplier. Take every step to make sure that they can guarantee the safety of their products, trace their raw materials appropriately and deliver the level of cleanliness and sterility you require for your sealing components. 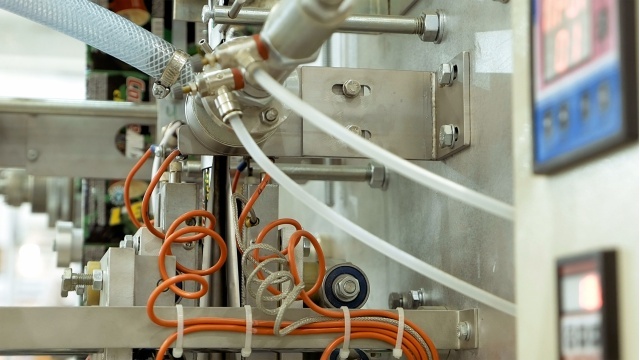 Assess Novotema’s suitability as an O-ring supplier for your food application, by reading about their experience in food sealing solutions. Alternatively, you can get in touch with one of our food process sealing experts today.